I always thought this was … Unfortunate. This entry was posted in Star Trek and tagged phallic stalagmite, Star Trek, What are Little Girls Made Of on March 28, 2015 by keithroysdon. The first “Star Trek” movie had come out in 1979 to mixed reviews and, by some estimations, disappointing box office. Paramount didn’t give up on the franchise, but decided to economize on the second installment. The studio handed control to Paramount TV producer Bennett, who had produced “Mod Squad,” “Six Million Dollar Man,” “Bionic Woman” and other series. 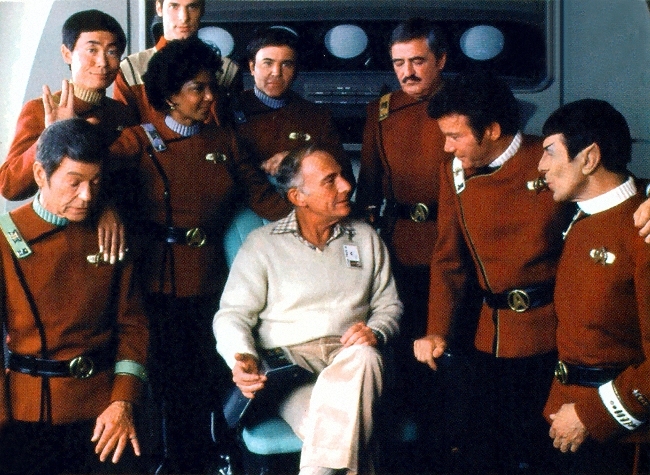 Bennett produced “Star Trek II: The Wrath of Khan,” directed by Nicholas Meyer, on a modest $11 million (!) budget by reusing models and footage from the first movie. The resulting movie, released in June 1982, was a critical success and a crowd-pleaser, bringing in $78 million at the box office. And guaranteeing the movie series would continue. This entry was posted in Star Trek and tagged Harve Bennett, Star Trek, Wrath of Khan on March 5, 2015 by keithroysdon. RIP Leonard Nimoy. Sorry for ticking you off. I met Leonard Nimoy only once. And I irritated him. During the late 1970s and early 1980s, most of my friends and I were members of the Muncie Star Trek Appreciation Club, a very active Star Trek club based here in Muncie, Indiana. When I say active, I mean that besides monthly meetings, we did a bunch of fannish stuff. We went to movies together, watched movies on the new technology of VHS together, traveled to cities around the Midwest for conventions and raised money for muscular dystrophy, even appearing on the Indianapolis segment of the Jerry Lewis telethon. Not just at conventions and autograph signings. That would have been all too easy. And of course, this was before the Internet, which later made communication with almost anyone, even celebrities, easier thanks to email or Facebook. This was in the snail mail and phone call days. We met Nimoy at the Ohio Theater in Columbus, Ohio. The exact date escapes me now and the memorabilia from that meeting is in storage somewhere. But it would have been after “Star Trek: The Motion Picture” debuted in late 1979 and before “Star Trek II: The Wrath of Khan” came out in 1982. 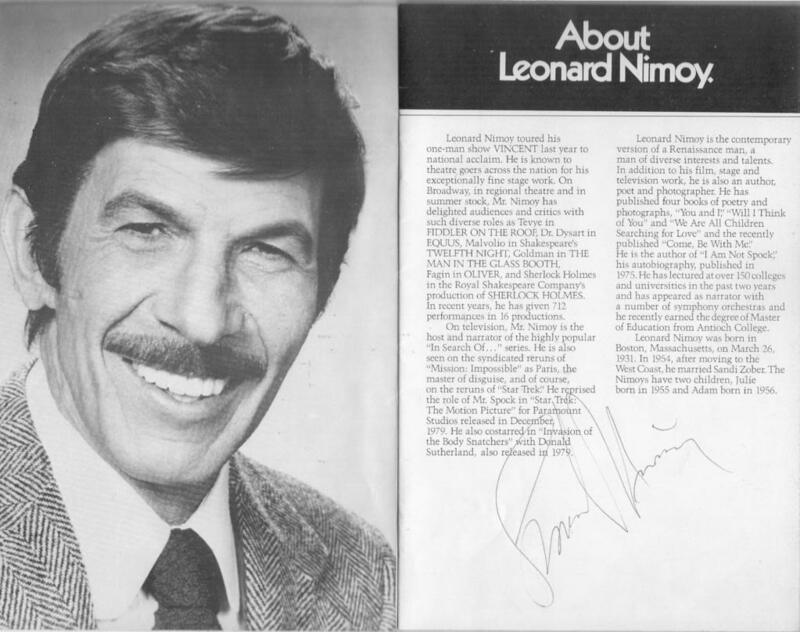 Despite having returned for the first “Star Trek” movie, Nimoy was in his “I am not Spock” mode, having written the book of the same name in 1975, when “Star Trek” felt more like a burden than a blessing, and it was well before “I am Spock,” written in 1995, when he had come to peace with the character that defined his career for many people. On that night in Ohio, a bunch of us had come to Columbus to see Nimoy in “Vincent,” a one-man stage show he had written in 1979. 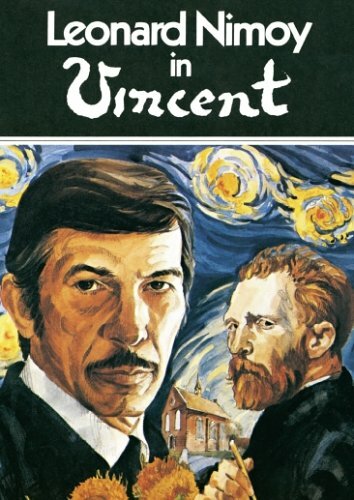 Nimoy played Theo, brother of Vincent van Gogh, talking about the artist a few days after his death. 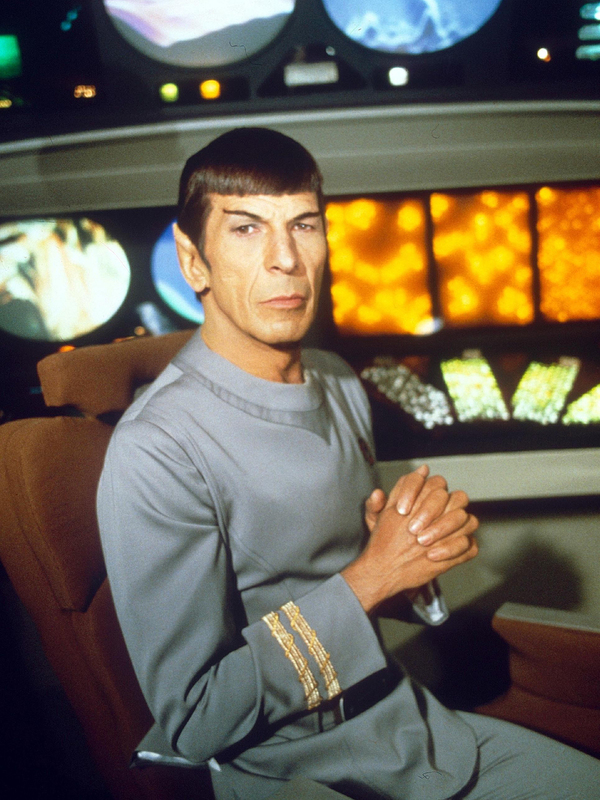 It was a good show and emphasized how versatile Nimoy, the actor, writer and artist, was. I knew that he might not react well, but I thought I might as well try it anyway. How many times, after all, would I ever meet Nimoy, a science fiction and television icon? When he came out, he seemed amiable and willing to exchange a few words – none of which were “You’re my biggest fan;” that kid was in the trunk of the car. I handed him the program and he signed it (not the one pictured with this column; again, storage somewhere). I wish I could say he arched an eyebrow, Spock-like. I think it’s more accurate to say he furrowed his eyebrows. And signed the photo and gave it back to me, as amiably as could be expected for a man who was trying to extricate himself from a role that, within a couple of years, he would fully embrace again. But – sigh notwithstanding – he signed the damn photo. Thanks, Mr. Nimoy. Rest in peace. This entry was posted in Leonard Nimoy, Star Trek and tagged Leonard Nimoy, Muncie Star Trek club, Ohio Theatre, Star Trek, Vincent on March 1, 2015 by keithroysdon. The weekend nights – Friday and Saturday nights, really – are and always have been special to young people. They were nights of freedom, with the promise of being able to stay up late because the next mornings were not school mornings. I grew up watching “Sammy Terry” on WISH-TV 4 on Friday nights – a double-feature of classic and/or cheesy movies beginning at 11 p.m. – and “Science Fiction Theater,” a double-feature of more SF-oriented – as opposed to horror – movies without a host that aired on WISH on Saturday nights. Of course, despite the enduring memories of Sammy Terry on Fridays, Saturdays have always had an edge is airing great old horror and science fiction. The legendary “Mystery Science Theater 3000” ended its run on the then-Sci-FI Channel on Saturdays (I still miss that viewing experience so much) and “Commander USA’s Groovie Movies” aired on USA Network in the latter half of the 1980s. Considering I’m in the demographic for MeTV, it’s not a surprise that the channel, which specializes in airing classic TV of the 1950s-1980s, is one that I’m always checking out. And it’s not surprising that MeTV has me – and a loyal fanbase – hooked for its Super Sci-Fi Saturday Nights programming block. 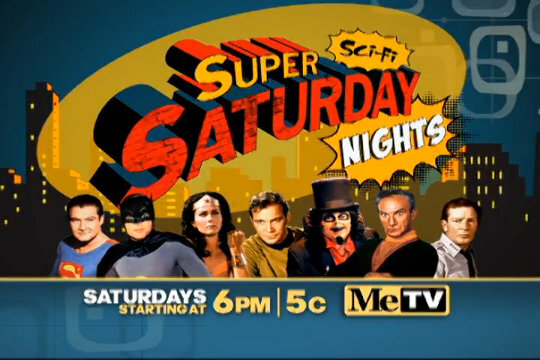 MeTV’s Saturday night line-up has varied a bit over the past couple of years but has only grown more solid recently with its selection of TV shows and, as its crown jewel, the selection of classic horror films hosted by longtime Chicago horror host Svengoolie. I’ve written about Svengoolie here before, but I’ll note for the record that the show, written, hosted and almost totally performed by Rich Koz, is perhaps the most entertaining geek-oriented two hours on TV right now. That’s because of how much TV has changed in the past two decades. With a proliferation of channels – and channels devoted to geek-friendly fare that include (now) SyFy – it seemed like a safe bet that lots of classic TV shows would be available to fill our days and late-nights. MeTV, which began airing in Chicago in 2005 and went national in 2010, appealed to Baby Boomers and others of nostalgic mindset by airing classic sitcoms and dramas. The channel’s Saturday night lineup doubles down that appeal by programming for the growing geek base. I’ve never been a big fan of the last two, Irwin Allen kids’ shows from the 1960s, but they’re good fare for insomniacs who haven’t been lulled into peaceful sleep by Svengoolie’s airing of some classic Universal monster movie. And while “Wonder Woman” never met a villain she couldn’t subdue by throwing him into a swimming pool – just watch a few episodes; you’ll see what I mean – the Lynda Carter series plays nicely along with the campy “Batman” series and the crime-busting noir “Superman” show. MeTV’s whole lineup is comfort food for those of a certain age, of course. Its Saturday night lineup is comfort food for geeks of a certain age. This entry was posted in classic TV, TV and tagged Adventures of Superman, Batman, MeTV, Sammy Terry, Star Trek, Svengoolie, Wonder Woman on November 1, 2014 by keithroysdon. The movie, directed by Dean Parisot, shows us the cast of the former “Galaxy Quest” series in the only setting in which they can thrive: Fan conventions. While the show’s captain, played by Tim Allen, basks in the glory of his adoring fans, the rest of the crew – Sigourney Weaver as the ship’s eye candy, Alan Rickman as the Spock stereotype, Daryl Mitchell as the kid actor grown up, Tony Shalhoub as the perpetually befuddled and hungry engineer and Sam Rockwell as a glorified extra who comes along for the ride – seethe with jealousy. From convention appearances to openings of electronic stores – where Rickman, so dry and sarcastic, has to trot out a modified version of his catchphrase: “By Grabthar’s Hammer … what a savings!” – the actors bicker and scramble for jobs. When an oddball group of fans – led by Enrico Colantoni of “Veronica Mars” and including Rainn Wilson of “The Office” in a small role – asks for their help, they think they’re appearing in some elaborate fan-made performance. Soon enough they learn that the “fans” are aliens, come to Earth to find the heroes of the “historical documents” they’ve been watching in space. They’re seeking help in fighting off an evil alien conqueror. “Star Trek” fans will find a lot that’s amusingly and comfortingly familiar here, from the perils of guiding the huge ship out of space dock to the ridiculous design of the craft itself. Not to mention the ghettoized duties and personalities of the crew – Weaver’s character gets to repeat the computer’s pronouncements -and the backbiting behavior of the actors, all of who are resentful and jealous of Allen’s very Shatner-esque commander. It’s easy to overlook Allen’s laid-back performance, but he really captures the bravado of a once-hot actor who still expects to be treated like a star. Rickman is so good as the irritated Alexander, whose resemblance to Leonard Nimoy and his frustration at always being identified as Spock is dead on. Tony Shalhoub has some of the movie’s biggest laughs as the bemused engineer and Rockwell is wonderful as a bit player who would have given anything to have what even the cast of this cult TV show has. 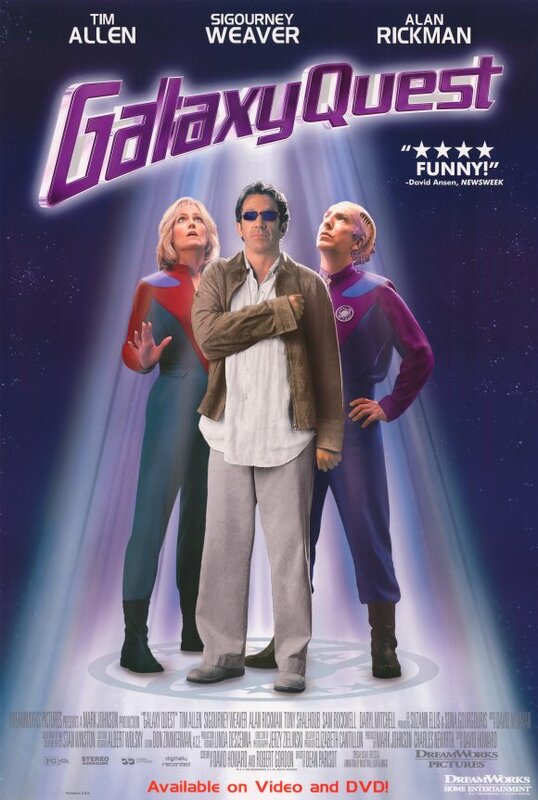 “Galaxy Quest” might not be the best “Star Trek” movie ever made, but it sure is the best movie about “Star Trek” ever made. This entry was posted in geek culture, movies, Star Trek, TV and tagged By Grabthar's Hammer, Galaxy Quest, Star Trek, Star Trek spoof on August 5, 2013 by keithroysdon. That’s because Craig made a heck of an impression on us as Barbara Gordon, also known as Batgirl, in the “Batman” series. Her appearance as a green-skinned seductress in the “Star Trek” episode “Whom Gods Destroy” – the second chartreuse woman in the series – is no doubt responsible for the presence of a green-tinged woman in the 2009 “Star Trek” movie. But all it took was for Craig to join the “Batman” cast for her to forever be a fanboy favorite. 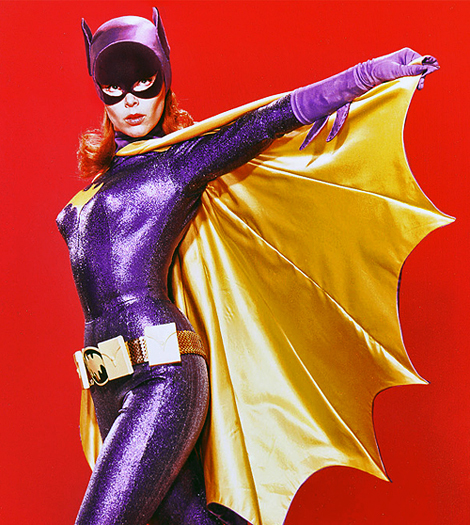 Craig, as Batgirl, was added to the cast for the final season in 1967. The impression her outfit – sparkly purple suit with yellow cape and hip-hugging yellow utility belt – made on a nation of us was truly great. This entry was posted in Batman, childhood myths and obsessions, geek culture, Star Trek, TV, unsung actors and tagged Batgirl, Batman, Star Trek, Star Trek green alien girl, Yvonne Craig on June 10, 2013 by keithroysdon. Besides the featured cast of the original “Star Trek” series, even beyond such recurring performers as Grace Lee Whitney as Janice Rand, there’s a familiar face in the background of most episodes of the series. If you’ve watched many episodes, you’ve noticed actor Eddie Paskey, usually in a red shirt, a bad sign for “Star Trek” crew members. Yet Paskey appeared in 57 episodes of the original “Star Trek” series. He often played crewman and security officer Mr. Leslie, and the “Star Trek” wiki Memory Alpha says he appeared more often than Sulu or Chekov. 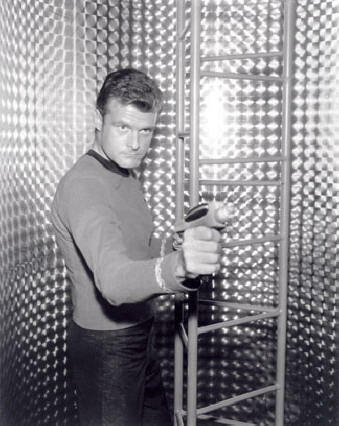 Paskey even died in one episode – true to his “red shirt” status – although he was alive and well in the next. Paskey, now 73, left the series in its third season due to bad headaches from a medical condition complicated by the bright lights of the set. He operated his family’s auto-detailing shop and makes occasional “Star Trek”-related convention appearances. And he was the hand double on the show for James (Scotty) Doohan, who was missing a finger. If that’s not enough to guarantee a lifetime of appearances on “Star Trek” convention stages, I don’t know what would be. 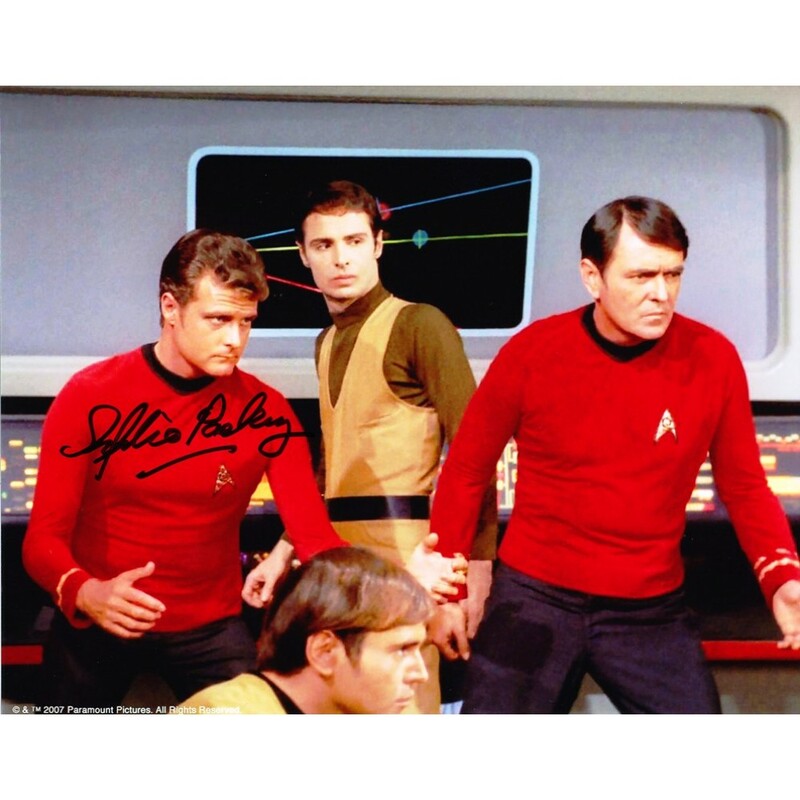 This entry was posted in classic TV, Star Trek, unsung actors and tagged Eddie Paskey, Star Trek, Star Trek bit players, Star Trek red shirts, Star Trek The Original Series on June 2, 2013 by keithroysdon.